What NCIS character are you? I got Ziva when I did it last night. I was kinda psyched about that! Ha! I did the test last week and got Gibbs!! I so didn't think I would get him!!!! I've taken this before and I get McGee on it. USA Network has a similar kwis on it's site and I get Ziva on that one. I'm on McGee, he's the geek of NCIS!!! SWEET! I got Abby! My favoriete character! Ziva :) I didn't do it on purpose and I didn't expect it at all. 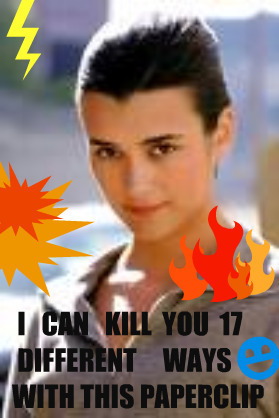 Ziva Rocks!!!! I prefer Gibbs, but she's cool. I got Ducky which totally suprised me! I like him lots though so, I'm happy:)!